The growing acceptance of cloud computing is based not only on the cost savings that businesses are realizing. The abilities to respond to opportunities quickly and support remote workers are additional benefits of the switch to the cloud. With cloud computing, businesses can tap into software and services as they need them, using an Internet connection and a web browser. Cloud services can help you manage growth and connect with your staff across town or the world. One of the toughest aspects of running a small business is predicting what resources are needed to support future demand. If the company grows quickly, more people and equipment need to be added to fulfill the work. Too much investment for the future is risky. Cloud computing allows companies to quickly access the applications needed to increase capacity, support growth and handle busy periods. If a customer or project demands increase, software in the cloud scales without a big outlay of cash. 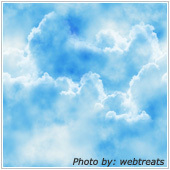 The flexibility of the organization increases with cloud computing because it is easy to adjust and scale. Companies with remote employees can particularly benefit from cloud computing. More and more small and medium-sized businesses support home workers and employees that aren’t in the main office every day. No matter where they’re located, employees can use cloud applications to have meetings, talk to one another, share files, and collaborate on materials in real time. With cloud computing, you can build a team that works together seamlessly, and improved productivity and better communication allows businesses to capitalize on new opportunities quickly. Find out more about the benefits of cloud computing. We’ll help you find the solutions that fit your business and your budget.